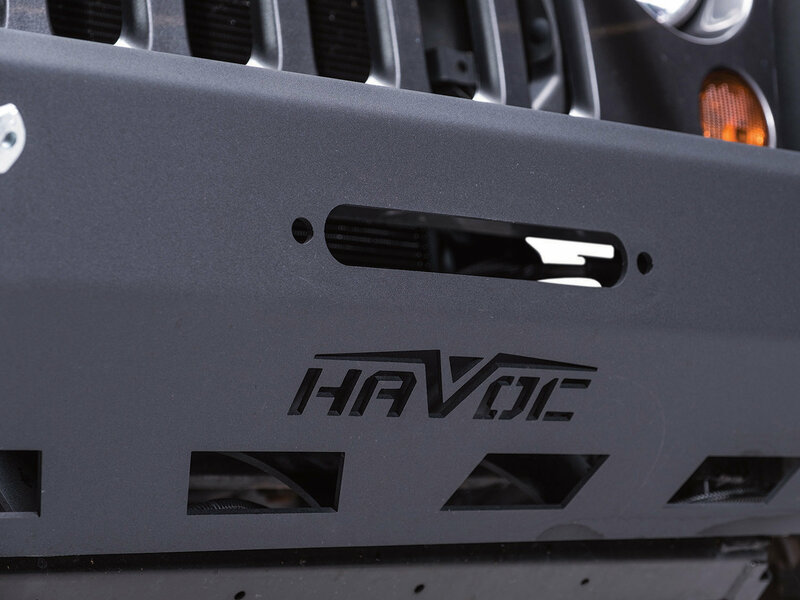 The Claw Hammer Front Bumper with Bull Bar by Havoc will give your Jeep Wrangler JK a stout look and practical protection. Constructed from 3/16" steel with a 2" Bull bar (.120 wall tubing) and light tabs. Allowing for a pair lights or Havoc 12" light bar to be easily bolted on. Finished with a two stage powder coat providing years of protection from the elements. 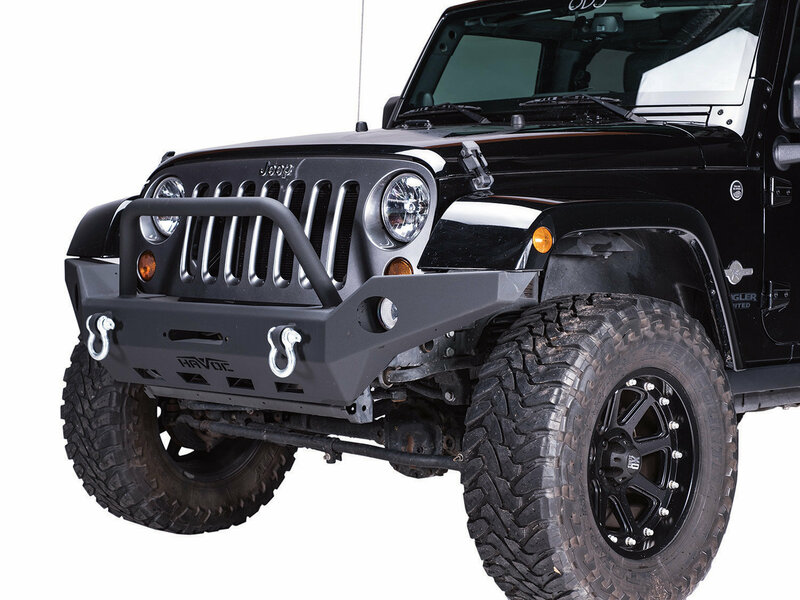 Built in fog light mounts that will accept your original Jeep fog lights. Also including a pair of d-rings to give you a secure pulling point. Winch and lights are sold separate. High Clearance Design: Offering tapered ends allowing more clearance in front of your flares to climb those larger obstacles. 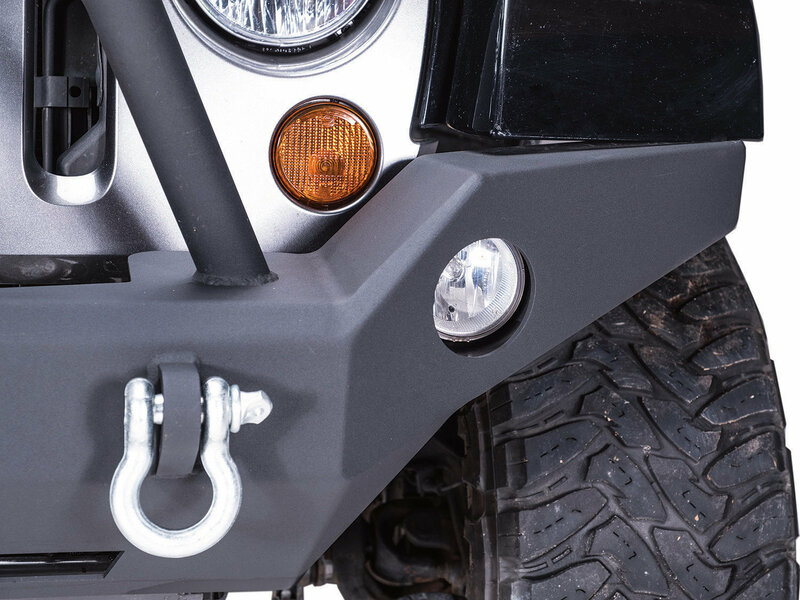 Give your JK quality protection with additional tire clearance with the Claw Hammer bumper. 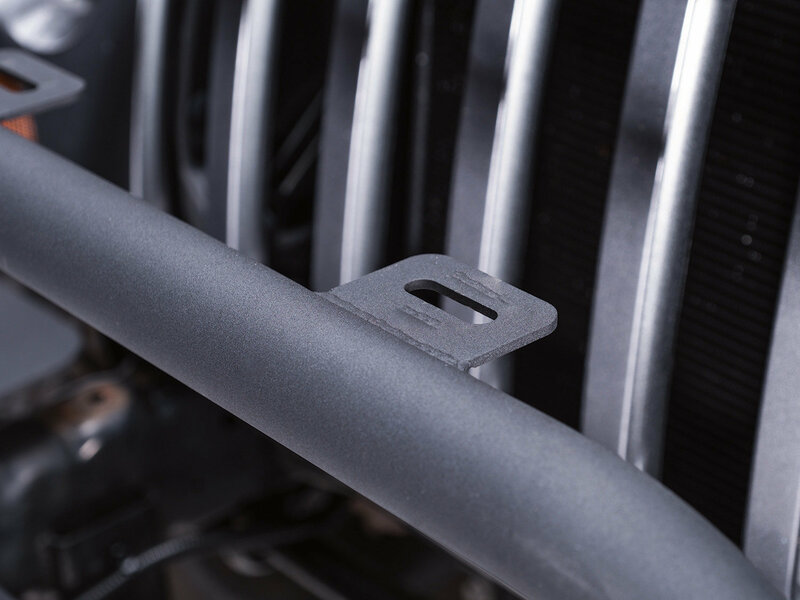 Winching Capabilities: Manufactured in the USA with a recessed winch plate (10x4.5" bolt pattern) and two d-ring tabs that are welded inside and out. 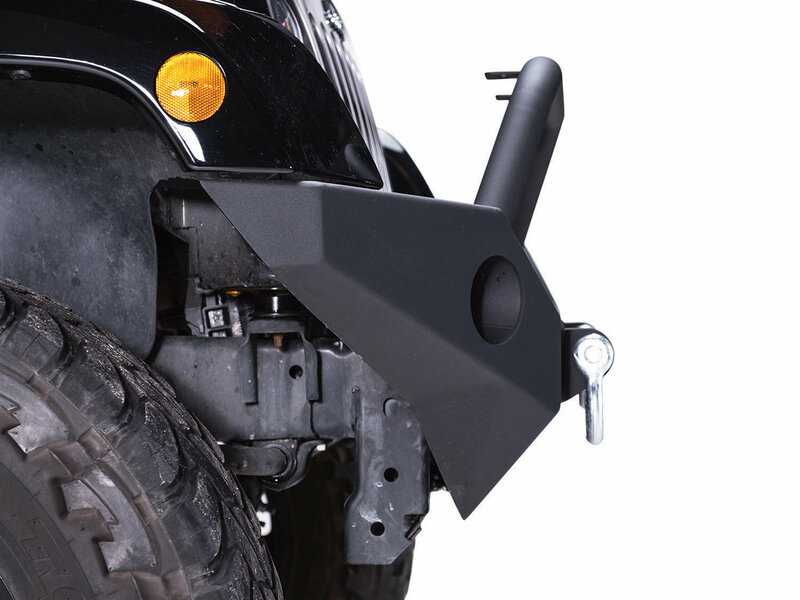 Allowing you to easily bolt in a winch for all your offroad needs. They also include a pair of d-rings which most other manufactures make you purchase separate. A versatile bumper that is ready for an adventure. Hammer down. Logo Backing Plate: Designed with a removable backing plate behind the Havoc cutout allowing you to add a splash of color or lighting. 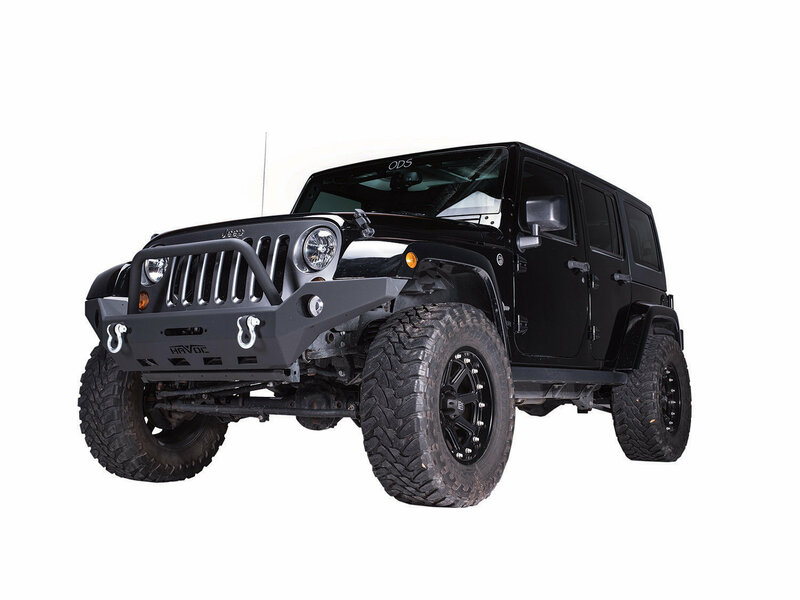 Giving your Jeep that custom look you desire and the ability to make it your own with ease. What does this bumper weigh? Does this accept factory fog lights? 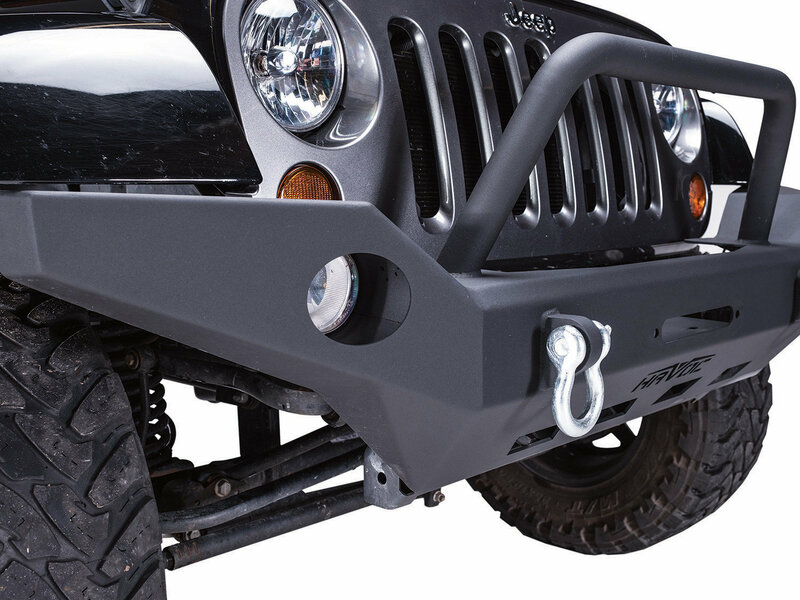 Yes, this bumper will accept your original Jeep fog lights.